Thanks for your interest to advertise in JobsForEveryone. JobsForEveryone gives a comprehensive information related to Career, Job search, and opportunities that are available to work for people from all over the world. 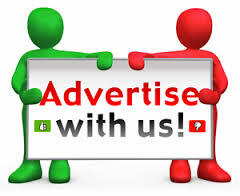 JobsForEveryone Advertise Page helps in sharing your advertising requirements with editors of JobsForEveryone. We understand the benefits of healthy advertising for our readers and also for advertisers who wish to partner with us in providing the best information for readers. Get in touch with us with brief details about your products and we can share you the best way to showcase your products to our readers. Please fill in this form and we will be in touch with you. Alternatively, you can send us your advertising requirements through [email protected] Please go through our Guest Sponsored Post Guidelines.